Existing Firefox users are probably learning the new changes introduced in the browser even as we speak, getting to grips with the visual and functional redesign of the latest edition of Mozilla's flagship. 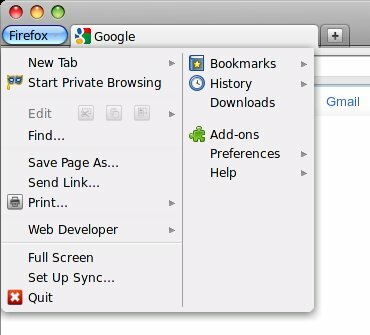 As one of Firefox veterans, I too find some of the changes a little hard to swallow, as they break years of habit, as well as introduce new dimensions of complexity and confusion that make the browsing experience less refined. New users probably won't ever notice, and many people might even agree with the changes, but if you're one of the more sensible and practical users, then you need a calming guide. This article will teach you how to transform Firefox 4 back into the good ole product you love using, without getting hung on the hypes. And we will talk about hypes, as well. 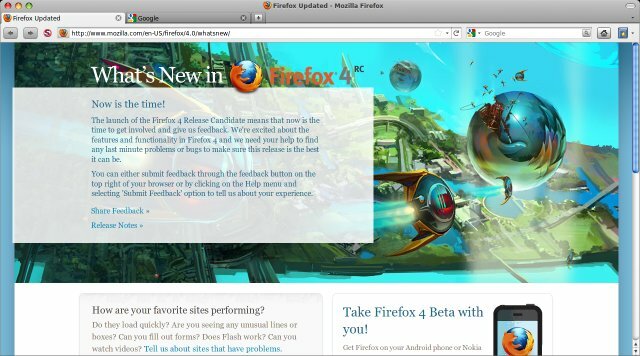 Oh, if you're interesting, do take a look at my Firefox 4 preview. The collective digital cognitive dissonance is geared up for justifying the placing of tabs on the top of the browsing window, acting as the logical container for buttons and content, rather than just being a content-related segment. It started in Chrome or Opera and has been embraced as the new holy tenet of Web design. For the lack of a better word, this concept is a load of binary crap. The only seemingly valid claim is that you increase your vertical space, which seems to be in shortage even since people have computers with BIGGER screens and BIGGER resolution, go figure. But the emphasis is on netbooks, where you kind of want to give the readers an extra 50px of web pages. The solution is terribly simple - use the mouse SCROLL to view more content. Alas, this seems to have been lost with a gazillion tabs-on-top fanatics, who preach logical fallacy all over the Web. Apparently, the average computer user is so wickedly stupid that they can't operate the mouse scroll button without breaking into a sweat. And the thing is, it's completely irrelevant whether you have 600 or 633 pixels of vertical space, because images are automatically resized to match screen and you can only focus on two-three lines of text at most, making any vertical dimension considerations moot. So it's Girls on Film, I mean Tabs on Top, idiot savant solution for the mouse challenged, the ultimate art of copypasta. When technology is developed for the sake of technology, so to speak. But even if you insist on your 52 pixels, the overall effect is minimal. Here's an example on a 15.6-inch monitor displaying 1280x800px resolution in Macbuntu. How unremarkable. You gained an extra salami slice. So out goal is to get rid of tabs on top and make the browser look normal. This is the new look that we don't want. It's annoying, impractical, against nature, fanboyish, and there's the 3px misalignment of the tab border, to the left toward the orange button. This is easily fixed. Just right-click in the top browser area and make the right switch. Unselect Tabs on Top and you're done. No more stupidity. Using Alt to temporarily show the File menu is also an option. Status bar is gone - Get it back! Another element of the vertical space monkey effect oligophrenia is the removal of the highly useful status bar at the bottom of the screen. All kinds of elements that used to live there are moved into the top of the browser, inlined with the address bar, the search bar and the rest. So our first task is to get Status bar back. There's a Firefox extension called Status-4-Evar, which does exactly that. It gives you back the expected functionality. This is a great start, but we need some more work. Next, customizing; luckily, it is easy. Right-click > Customize. Then just drag and drop the elements anywhere you like. Move your extensions about and so forth. You can also configure additional elements, like the download and progress bars. 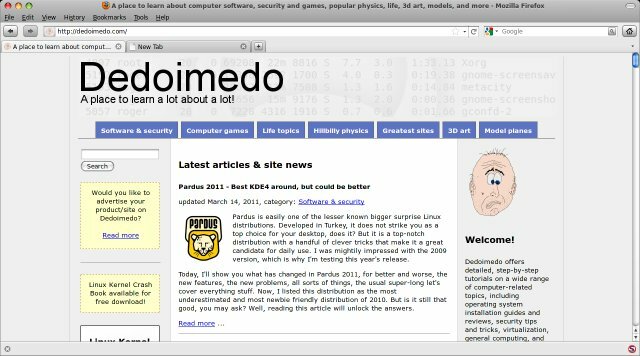 Firefox 4 improves addons management, by offering a more streamlined search functionality, from within the browser itself. 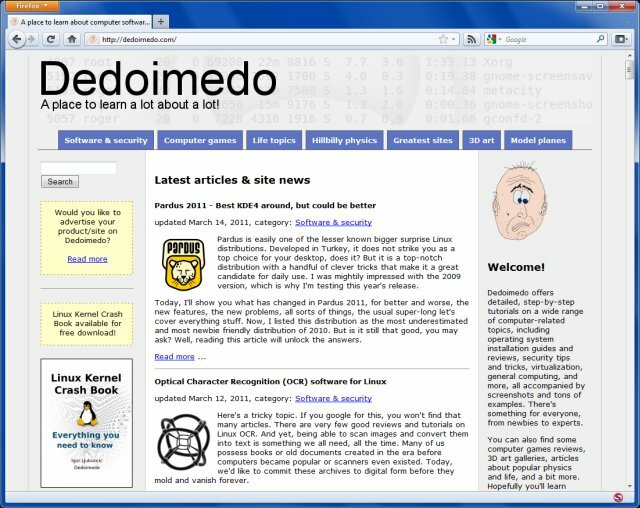 This is a good starting point to embellish, empower and fix your new browser, to match the older one. To get around this, you may need to tell Firefox to ignore compatibility checks, although this could lead to glitches and problems. But if you're in a bit of a hurry, you can disable the extensions checks in about:config. This is not recommended for less knowledgeable users, as you may end up with a corrupt profile or all kinds of unexpected problems. This article is relatively short by Dedoimedo standards. And it offers only a handful of fixes. But it should definitely reduce your Firefox 4 transition anxiety by 90%. 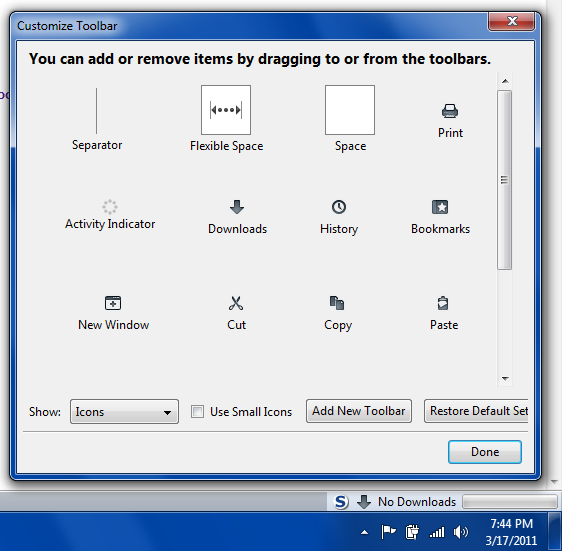 Firefox 4 remains utterly configurable, as it always was, which is one of its strongest selling points. You will be able to restore old looks and feel easily, with a bit of hard work and only a handful of extra extensions. 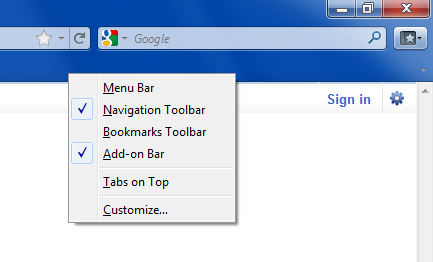 That said, I expect existing profiles not to be changed and not to remove the Status bar for Firefox 3.6 users. 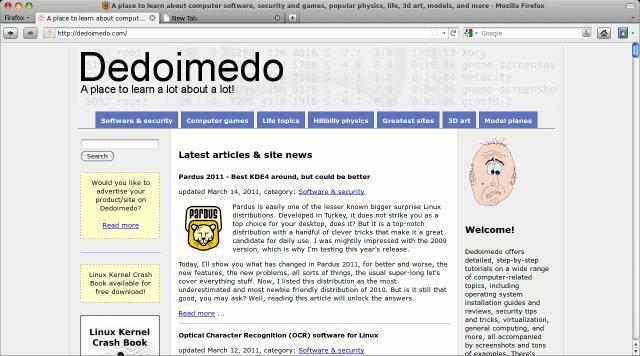 Firefox 4 UI feels faster and snappier, the browsing experience remains the same, other changes and improvements are small, subtle and fairly smooth, building on the rock-solid base. You get a handful of new tricks, more visual polish, some extra security, less clutter, and better tab and addons management. For a major release, Firefox 4 is a good and decent improvement overall. It has a few drawbacks, which have nothing to do with technology, only pure mentality and peer pressure. But these can be ironed out in 5-10 minutes, and you're back in Happyland. To sum it up, you should be excited about Firefox 4, because it remains the best browser all around. It suffers from a bit of Internetness, but we can forgive that. 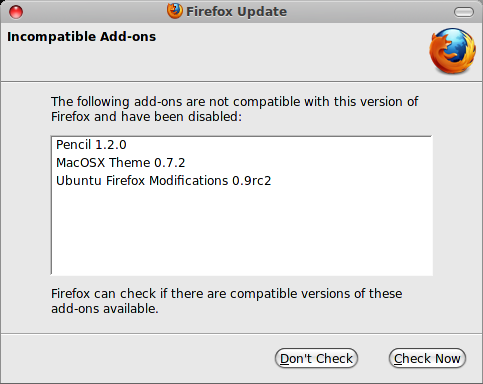 And with this short guide in your hands, the upgrade to Firefox 4 ought to be fun.